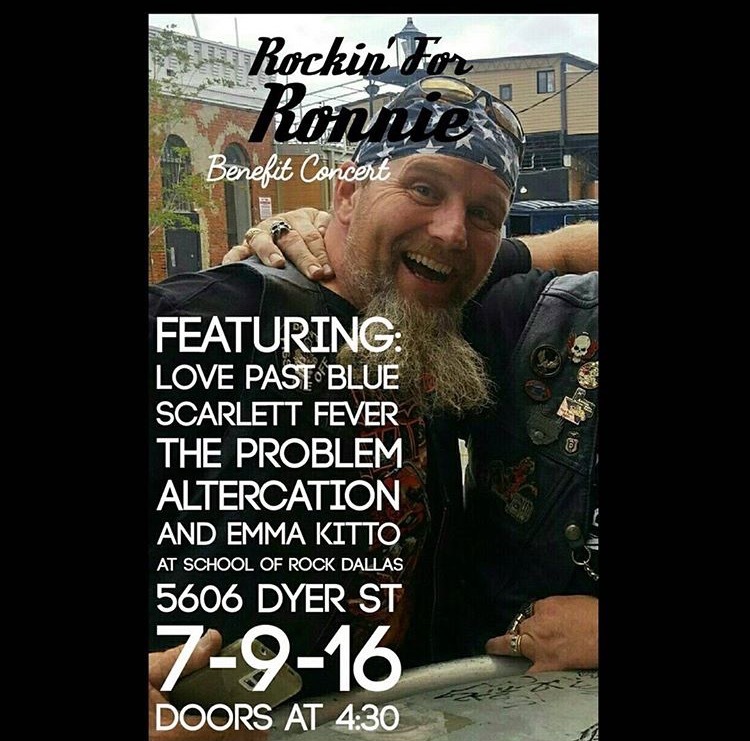 We will be playing a benefit show for Ronnie, who needs lots of money for medical bills after getting into a wreck on his motorcycle. We will be playing at The Garage at School of Rock along with Love Past Blue, Scarlett Fever, Altercation and Emma Kitto. Show is Saturday, July 9th – Just $5 donation. Doors at 4:30.